Ghosts, spiders and witches are scary, but nothing is more frightening than a watered-down cocktail. If you're planning a Halloween party and looking for creepy drinks to serve your guests, look no further than these boo-nique creations. Just remember to invest in some dry ice. 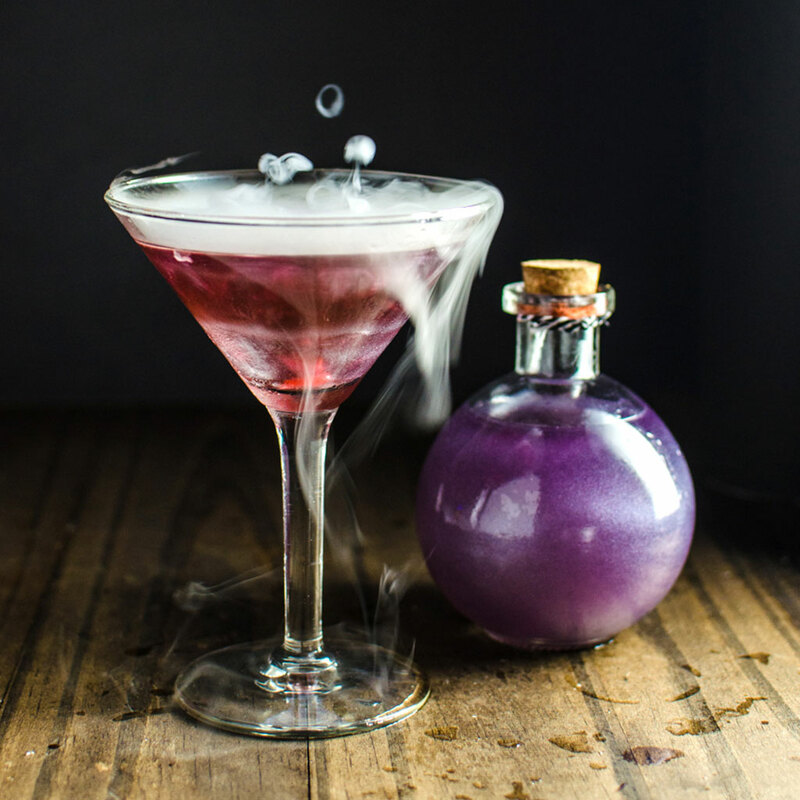 The smoky concoction takes any beverage to the next level. 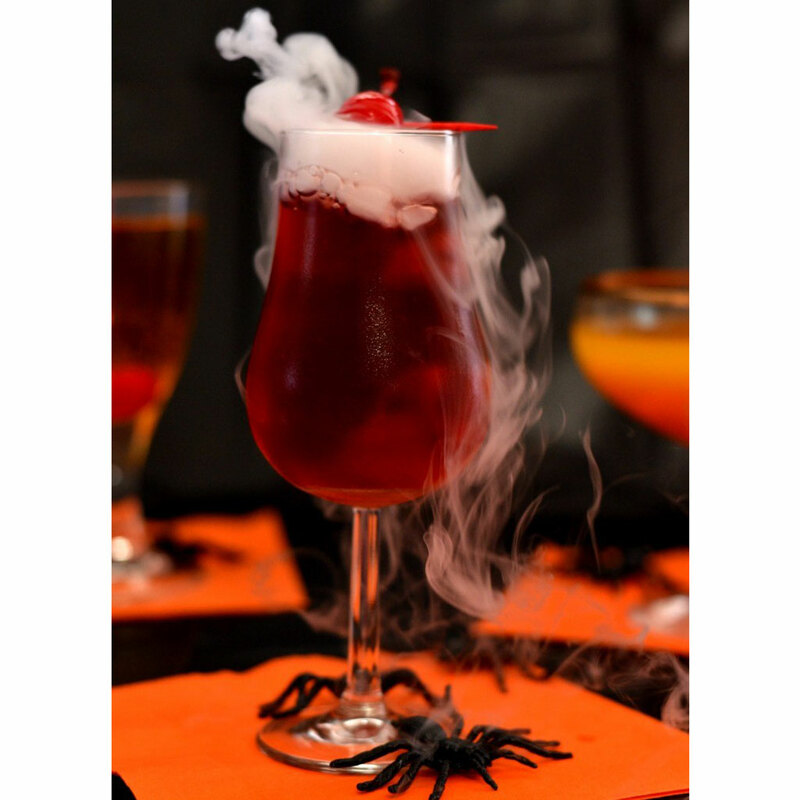 We're thinking the apple vodka, grenadine and Viniq mixture makes The Witch's Heart sound more delicious than terrifying, but who's really complaining? It's got to taste better than a witch's nose. Click here for the recipe. 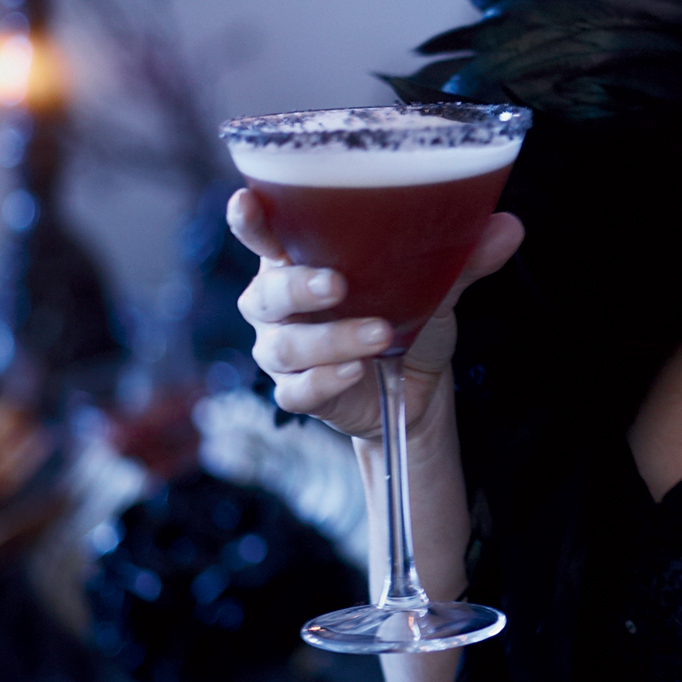 There's nothing scary about tequila and pomegranate syrup, but this drink's black lava salt rim exudes a gothic feel. Food & Wine tested, Addams Family approved. Click here for the recipe. 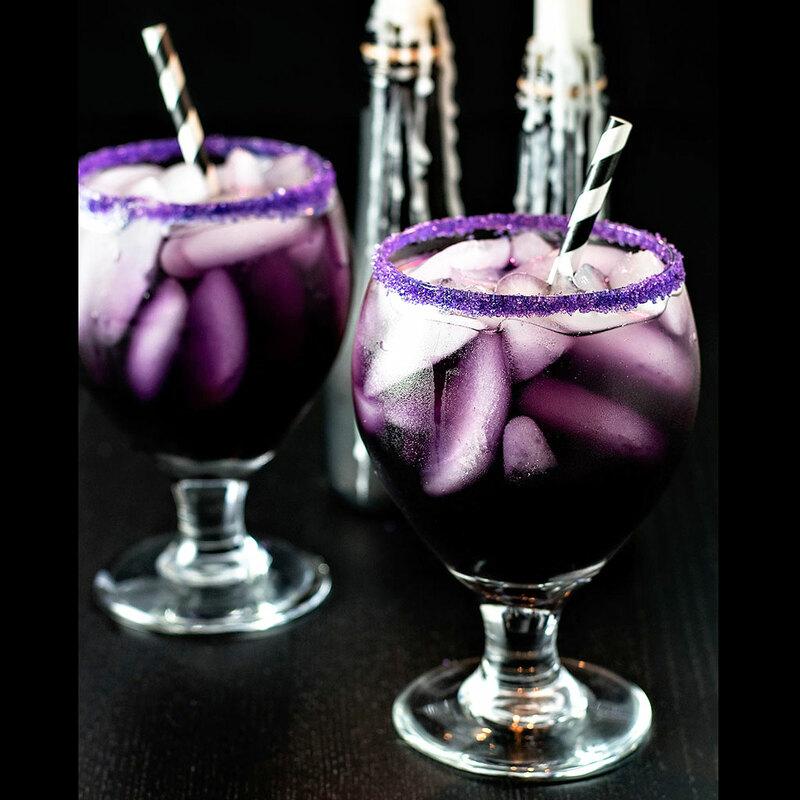 The Blue Curacao-based Purple People Eater will quite literally eat away your brain cells to encourage a fun, carefree night. Just eat drink responsibly. Click here for the recipe. 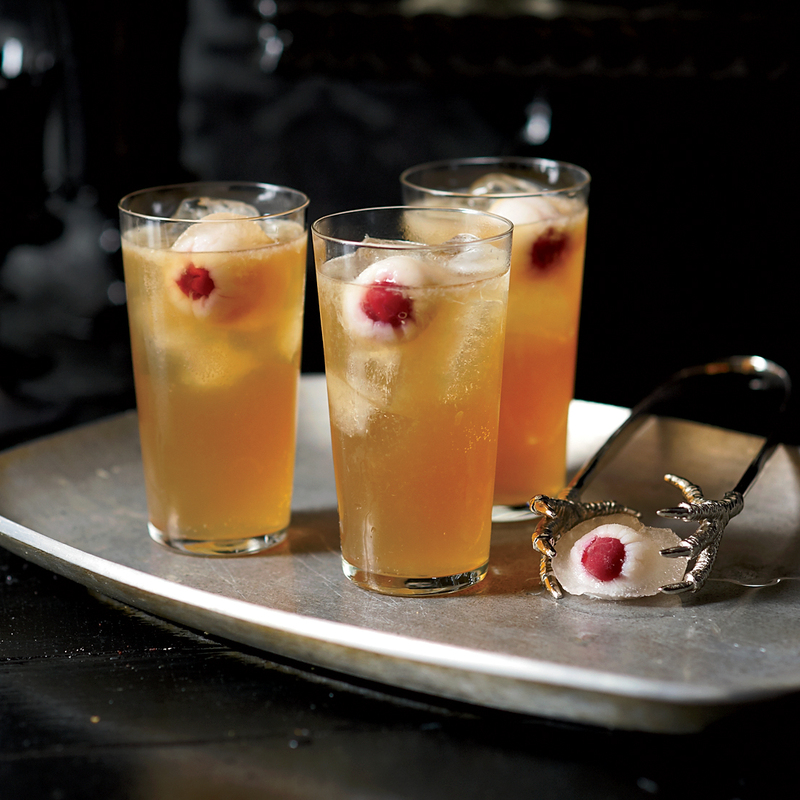 The brandied cherry "eyes" have it with this lychee and ginger-based rum punch. Who knew that optometry could taste so delicious? Click here for the recipe. The devil is alive and well on Halloween, but we're not sure how well he'd fare after a sip of this strong stuff. Featuring rum, champagne, pineapple juice and a raspberry ice block, the flavor profile is sinfully delicious. Click here for the recipe. 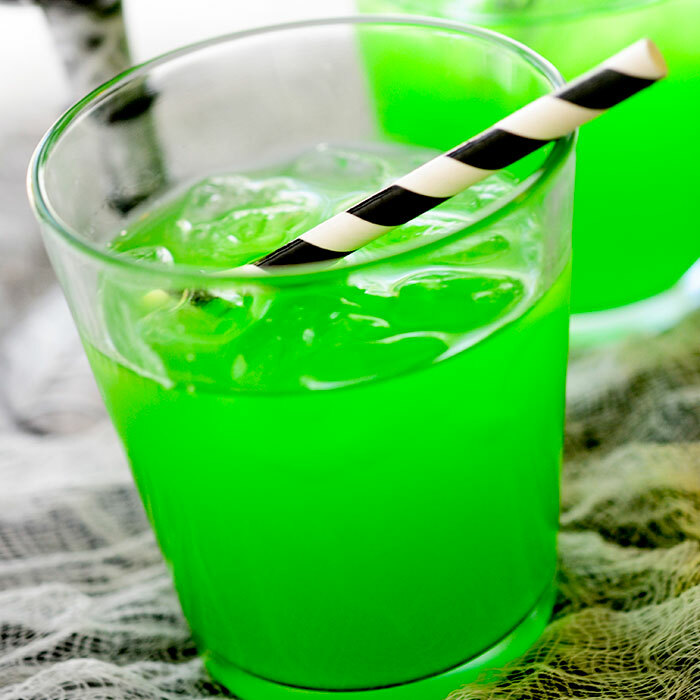 The prospect of guzzling neon green liquid doesn't sound appealing, but the trick (and treat!) is simply lime gelatin. 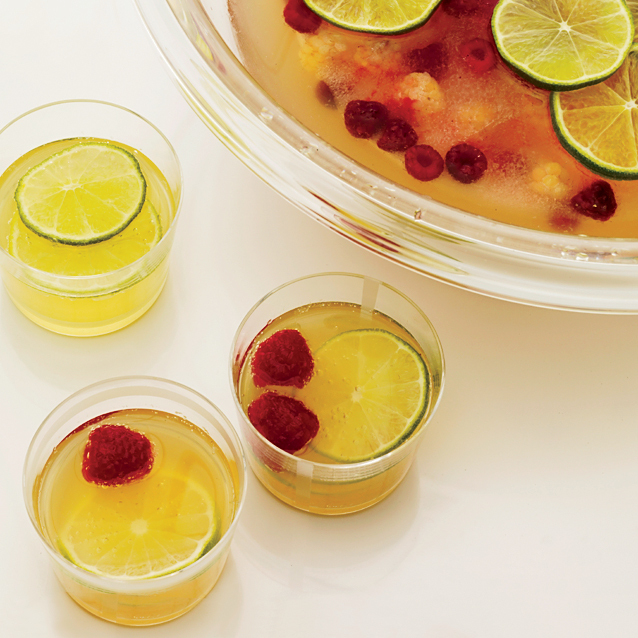 This drink, like Jell-O, is alive. Click here for the recipe. A vampire's delight, this blood red take on your favorite brunch cocktail will ensure that November 1's hangover is extra classy . Click here for the recipe. Vodka, cranberry juice and grenadine is the stuff Dracula's dreams are made of. Don't expect to find garlic liqueur in this one. Click here for the recipe. The Jack-o-Lantern met its match and was torn to shreds with this orange beverage. Though its flavor is citrus and not pumpkin, Halloween is all about the illusion. Click here for the recipe. If you find yourself seeing spirits, just blame it on the absinthe. Click here for the recipe.